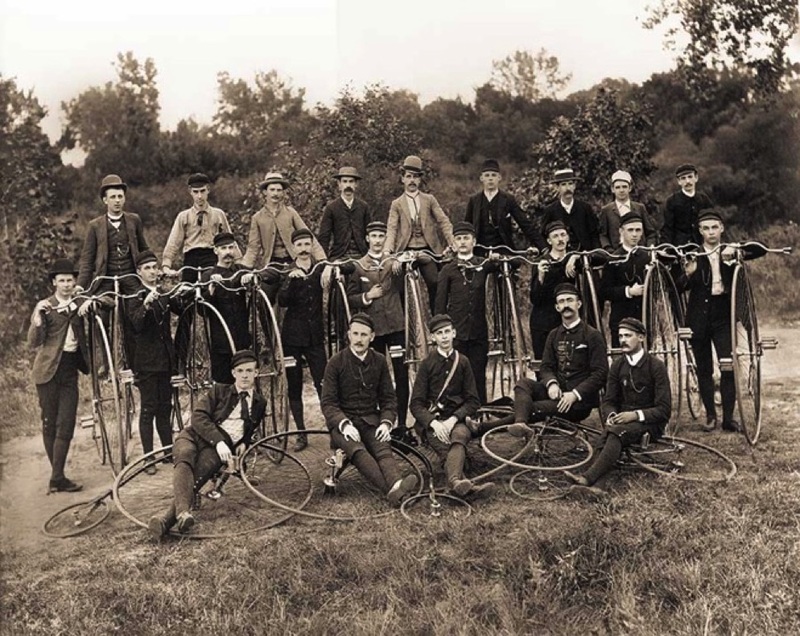 Check out the cool info below about the early years of rides to Montauk. 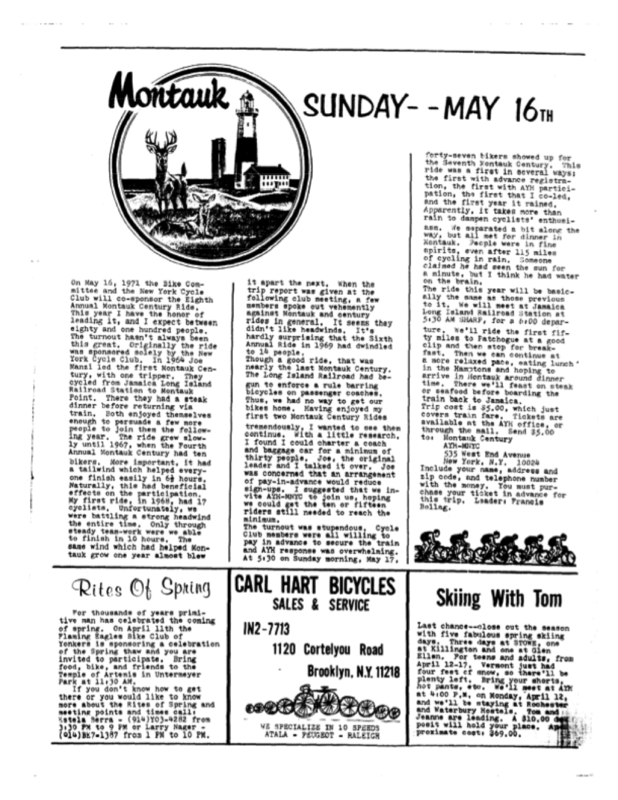 As far as I can tell, the first group ride to Montauk was in 1964, and was created by members of the New York Cycle Club, which still offers great rides but no longer does a group trip to Montauk. Since I was five years old at the time of that first ride, I think I will not try to claim credit. Also note reference in the article to the Bike Committee, which I believe was part of American Youth Hostels, and eventually morphed into the Five Borough Bicycle Club (5BBC), of which I am a proud member. Got a good story to share about the old days of the ride? Please pass it on -- we’d love to hear from you.